A place that will seize you with its charm! 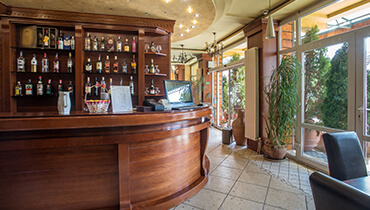 Hotel GarsonLux is unique place where business, traditional values and hospitality are merged. 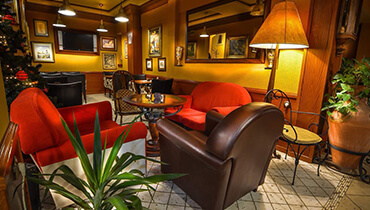 Comfortable, business like with soft artistic touch makes strong impression on all of the guests. Accommodation includes single, double, twin and triple rooms, as well as apartments (Junior, Deluxe, Family suites). Hotel also possess café bar, summer terrace and VIP lounge. While staying in our hotel you can use services of our fitness centre. 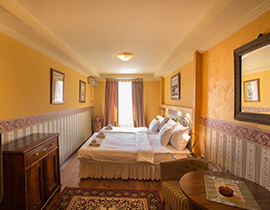 Located in peaceful part of Novi Sad, away from the city noise, Hotel Gymnas represents an ideal place for business people, but also for those who have different traveling tastes. 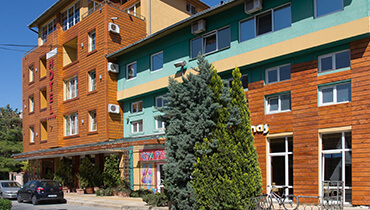 Hotel is only 15 minutes away from city center and 10 minutes from Novi Sad Fair. Professional, educated and pleasant staff provides service measured by highest world standards. Taking best care of guests is imperative and main purpose of our business. This is one of the main reasons that all our guests, while being here, feel like home. Accommodation includes suites, single and double rooms. Within the hotel we have a restaurant and an aperitif bar that will complement your vacation. Free wi-fi during your entire stay. Whether you're traveling on vacation or doing business, we mean you. Gymplay room is located within our hotel. Because we think of your little ones. We have two MEETING ROOMS. Organize seminars, business meetings, lectures, anniversaries of the company and other activities with us and enjoy top-notch service. Our goal is to provide individualized service and more than what the customer expects, always taking care of his happiness and well-being. Also, we want to create a team of motivated and educated professionals who love their work and to guarantee business success. We are here to make your stay a memorable experience. We want to continually improve operations following the world trends and become a member of an International association of boutique and design hotels. Our goal is to become the first lifestyle hotel in Serbia. We will conquer you with details, antiques, kindness and dedication. These four elements make the tradition of our hotel! Contact us and book your holiday in a hotel you would like to return each time!